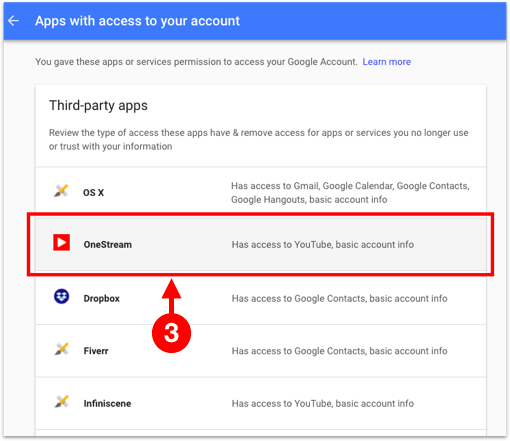 This article explains how to fix YouTube and Google Drive permissions in case you are having issues. 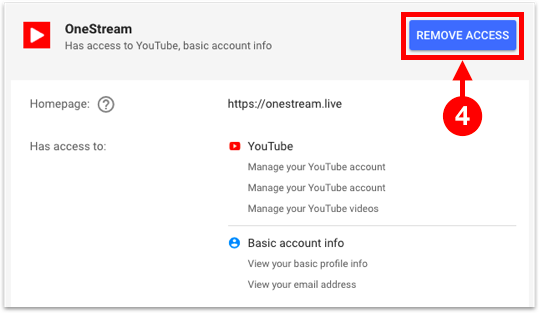 IMPORTANT: Make sure to disconnect the YouTube Channel from OneStream&apos;s dashboard before continuing with the following steps. How to disconnect a social account from OneStream? 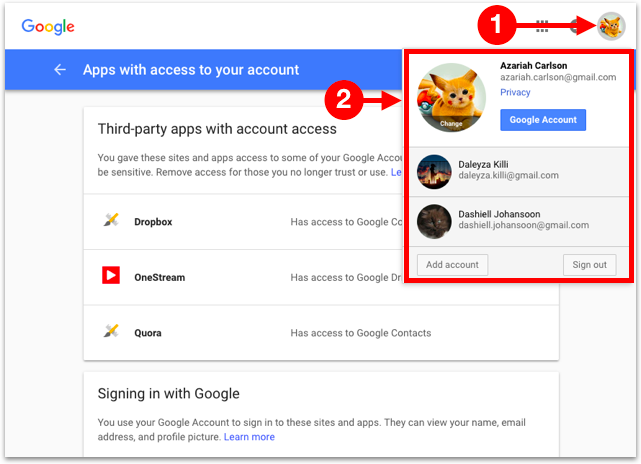 Choose the correct Google account from the top right in case you have multiple Google accounts or Brand Accounts connected. Look for OneStream in the list of applications connected to your YouTube channel. For OneStream application press Remove Access.